Maker Monday is rolling around at NESIT Makerspace again this week. Why not stop by and use one of the 3D printers to spread some holiday cheer? 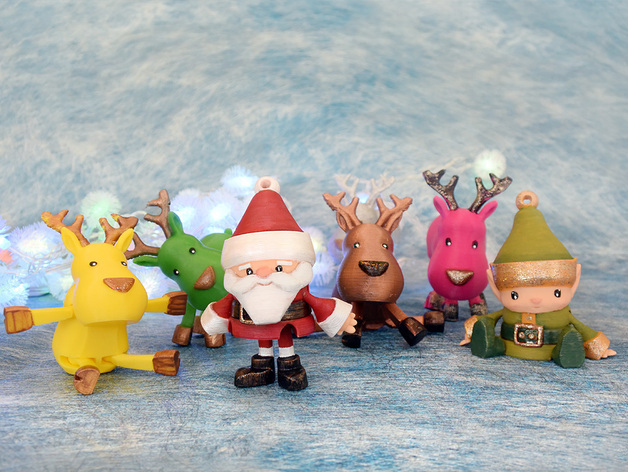 In time for the impending holiday Thingiverse user bqLabs has created some cute articulated Christmas figurines of notable reindeers, chubby toy distributors, and short small run production workers. Grab the STLs and make one of your own!